Over the past centuries we have created extensive artificial environments in which to live, work, rest and recreate. Along the way we lost the use of natural daylight, as well as the beneficial qualities accompanied with it. It is our vision that by using LED technology we can re-create the world’s view on natural light in all domains of our daily life, such as healthcare, well-being, safety, and sustainability. The TU/e Intelligent Lighting Institute (ILI) was established in 2010 to investigate novel intelligent lighting solutions that will become within our reach by the large-scale introduction of LED technology, with a special emphasis on how these new solutions might affect people. In addition ILI aims at providing scientific evidence for the claims that go with these novel lighting solutions. 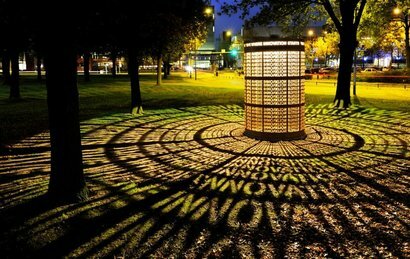 At the campus of the Eindhoven University of Technology (TU/e), researchers at ILI are developing new concepts for interactive lighting solutions, as well as the requisite technology. This often requires combining the resources of various disciplines at the university. The institute also consciously seeks to coordinate activities with the private and public sectors, which is a new dimension in the field of lighting innovation. There are approximately fifty people working on ILI research programs at TU/e. These professors, postdocs, doctoral candidates and research assistants work in the departments of Applied Physics, Industrial Design, Industrial Engineering & Innovation Sciences, Electrical Engineering, Mathematics & Computer Science and Architecture, Building & Planning. There are an additional fifty or so people from industry who work with ILI. Until recently, the scientific world tended to overlook the issue of how light affects people (perception of light). And yet, knowledge about this aspect of light can yield new insights, technologies, and applications. The lighting research performed at ILI is producing unique know-how and a technological head start for the participating parties, the Brainport Region, and the Netherlands as a whole. For more information, visit ILI's website.